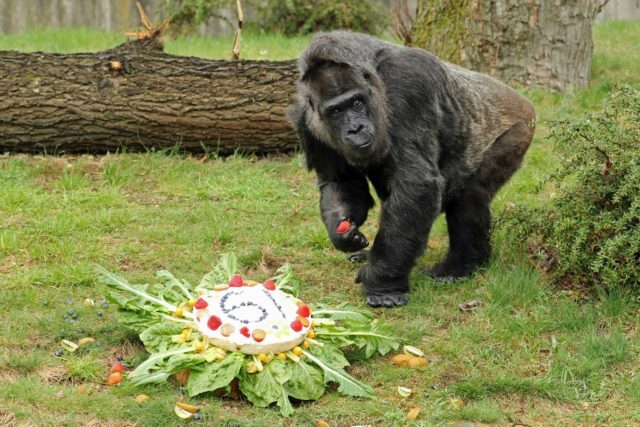 Fatou, one of the world’s oldest gorillas and a “living legend”, is celebrating her 61st birthday today. The sexagenarian, who lives at Berlin Zoo, had a life of adventure before arriving in Germany from the south of France in 1959. Her exact age is not known, but as a youngster, a “hard-drinking sailor” used her to pay his tab at a bar in Marseille. She eventually made her way to Berlin Zoo and is believed to have been two years old when she arrived. Today, Fatou has been savouring a rice-based birthday cake adorned with blueberries, strawberries and grapes – a delicacy which she can only enjoy occasionally due to the high sugar content. 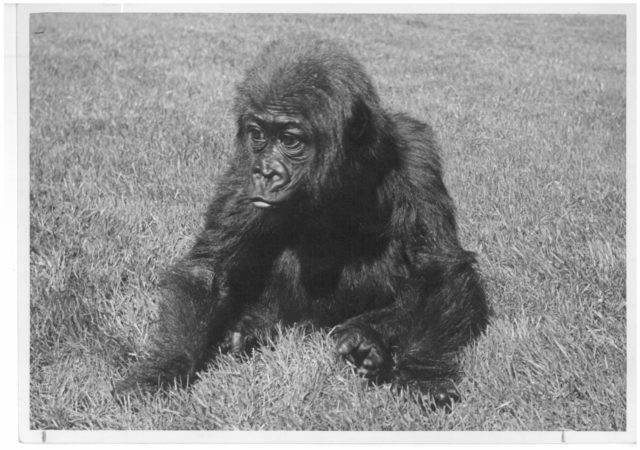 The gorilla shares her record age with Trudy, another female gorilla who lives in Little Rock Zoo in Arkansas, United States. 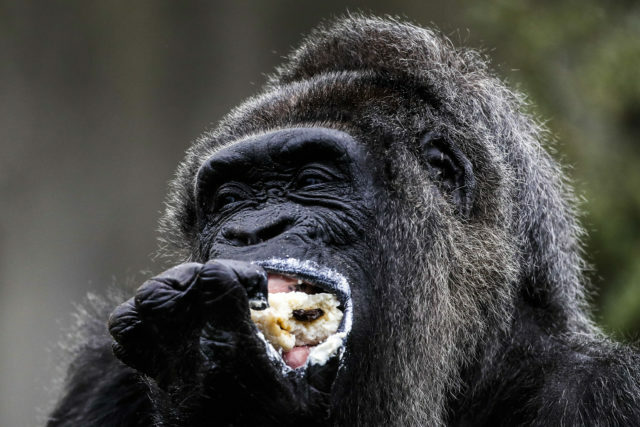 Fatou, a western lowland gorilla, is one of the few animals at Zoo Berlin born in the wild, and her species is facing the threat of extinction due to poaching and environmental destruction.